Matthew Sakiestewa Gilbert at 2009 Native American House Congratulatory Ceremony. Photo courtesy of Muskogee Creek writer and photographer Durango Mendoza. 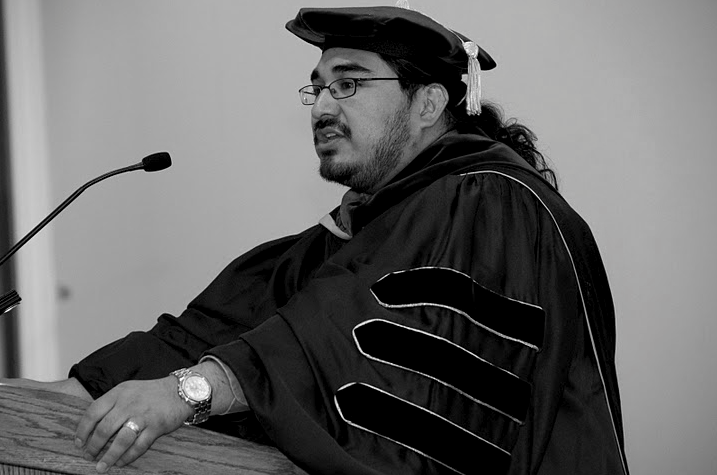 In the Spring of 2009, our Native students at the University of Illinois asked me to say the closing remarks for the Native American House Congratulatory Ceremony. The event took place on May 16, 2009. Since we are appoaching the end of the academic year, I thought that it would be fitting if I posted these remarks on my blog. I have the privilege and honor of saying a few closing remarks to end our time together. We are fortunate at the University of Illinois to have students who have not forgotten that the greatest “scholars” and teachers come from their own communities. These men and women have not published books for Oxford or Harvard University Press. They have not published articles in the esteemed journals of the academy. But they are known by people in their communities as the gatekeepers and protectors of intellectual property, and teachers of knowledge. 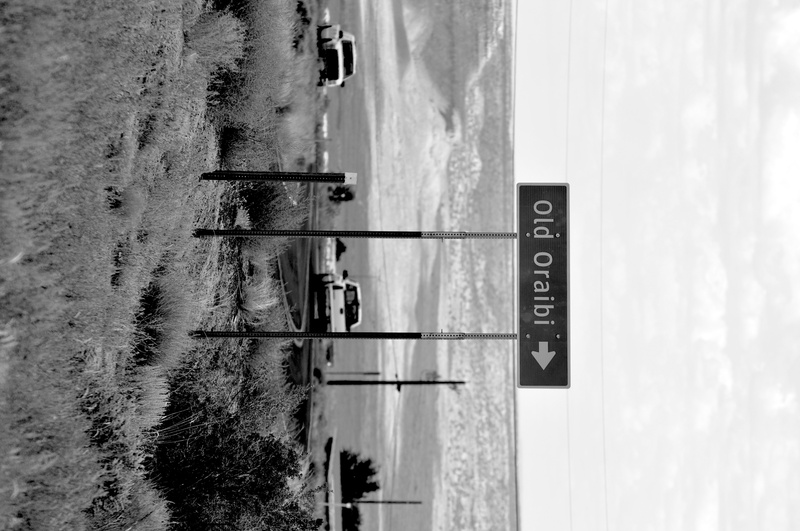 Among my people in northeastern Arizona, parents, grandparents, uncles, aunties, and other community members often told their children stories about the owl, the squirrel, and giant beasts that threatened to destroy the Hopi way of life. Hopi elders shared these stories with their children to teach them life lessons. Lessons that would help them to succeed in life, contribute to their communities, and to be passed on to their children and grandchildren. The stories and teachings that have emerged in Hopi and other indigenous cultures have great meaning for people of the past, present, and future. They ground Native people in their communities, they connect us to our places of origin, and they forever remind us of who we are as Choctaw, Ho-Chunk, Kiowa, and other indigenous people. Sakiestewa recounts that one day, as the girl wandered about near the wash by her village, she sat under a large cottonwood tree. The wise old cottonwood tree realized that her people, and even the animals, had become angry with her, and so he asked the young girl: “Why are you not a part of your people?” The girl did not respond, and so the wise old cottonwood tree told her to gather yucca plants and to bring them to him. Soon the young girl came across other designs, and months later, she returned to her people with beautiful plaques and immediately started teaching her sisters, and other girls in the village how to make baskets. All that she had learned amazed the people at Moencopi. And from that day forward, they no longer called her kyena. “At what point did the girl come out of not being kyena? Overwhelmingly, the response was when she learned to make baskets. The Hopi response to when she stopped being kyena was when she returned and taught the skill of basket making thereby completing her circle.” [Norene E. Kewanwytewa, “Being Hopi: A Collaborative Inquiry Into Culturally Responsive Education,” Ed.D. Dissertation, Northern Arizona University, 2002, pp. 2-4]. Today, as we gather together to honor our students, I close by urging our Native graduates to return to the cottonwood trees of their communities. Complete the circle, and take what you have learned at the University of Illinois and contribute something useful to your people. And never forget that long ago, our people held to and practiced indigenous ways of understanding that provided meaning, and continue to provide meaning, for every aspect of life. The California Indian Education (CALIE) organization recently launched a new website on American Indian boarding schools. The website is managed by Ernie C. Salgado, Jr., of the Soboba Indian Reservation. Jon Allan Reyhner, Professor of Education at Northern Arizona University, has written the Forward for the web page. In addition to giving a history of Indian boarding schools, Reyhner has provided brief commentaries on numerous books and authors of Indian boarding school studies. If you have a minute, be sure to make your way over to the CALIE website. This is a great resource for those interested in the American Indian boarding school experience. I just received word from Benjamin Nuvamsa that the proposed Hopi Tribe Constitution Draft 24A has been defeated. I hope to get official word on the matter in the morning, and I will be sure to update this post with any new information. See also BEYOND THE MESAS post: Nuvamsa responds to defeated Hopi Tribe Constitution Draft 24A, and the following news stories: Hopis reject proposed changes to tribal constitution (Felicia Fonseca, Associated Press/Arizona Central), Hopi voters reject proposed Hopi constitution amendment (Navajo-Hopi Observer), Hopi Secretarial Election Results (Hopi We the People website) and Hopis Reject Constitutional Changes (Carol Berry, Indian Country Today). On January 27, 2011, Hopi and Tewa people will be going to the polls to vote on a new tribal constitution that will replace our 1936 constitution, if the injunctions filed in tribal and federal courts by tribal members do not stop the election. It is sad that many of the voters simply do not know what is contained in the proposed new constitution, Draft 24A, because the proponents failed to explain to them, in detail, the provisions of the proposed constitution. The Hopi Tribal Council, on August 4, 2010, voted to allow the Secretarial Election to proceed, without knowing the full implications on our way of life. The Hopi tribal leadership and council members that voted in favor of the action item failed to listen to tribal members who expressed grave concern over this draft. Tribal members wanted to have input but were denied. So once again, our tribal government has divided us. A few of us who are concerned about the impacts the Draft 24A, took it upon ourselves to educate our people. In our sessions, we found most, if not all are opposed to the proposed constitution. We found that people are very angry at the tribal leadership for allowing this to happen without full consultation and their input. Tribal members are adamant that we do what we can to preserve our traditional ways of life. I cannot help but think of all the hard work and thought processes that the framers of our original 1936 constitution must have gone through to craft a document that has sustained us for over 75 years. They were visionary people. They were not divided and cared for the future of our people. My grandfather, Peter Nuvamsa, Sr., our first tribal chairman, was one of the spokesmen along with Irving Pabanale, Albert Yava, and George Cochise. Our village chiefs, Kikmomgnwit, throughout the villages were consulted, including Kutka and Tunewa (Sichomovi and Walpi), Sateli (Tewa), Talahevtewa (Shungopavi), Masaquaptewa (Sipaulovi), Komalevtewa (Mishongnovi), Lomavitu (Kykotsmovi), Tawakwaptewa (Oraibi), Kochongva (Hotevilla), Kiwanimptewa (Bacavi) and Siemptewa (Moenkopi). The leaders and framers gave specific instructions to Oliver LaFarge to craft language that protected village sovereignty and our traditional ways. They made sure the following provision was included: “Each village shall decide for itself how it shall be organized. Until such a village shall decide to organize in another manner, it shall be considered as being under a traditional Hopi organization, and the Kikmongwi of such village shall be recognized as its leader”. (Emphasis added). The leaders made sure the sovereign right of our villages was not delegated to the Hopi tribal council. They made sure we did not simply adopt an Indian Reorganization Act template constitution. But now, we are faced with a proposed constitution that is modeled after the Cheyenne-Arapaho Tribes’ constitution where Robert Lyttle participated in drafting their constitution. Draft 24A destroys our traditional village governments because it contains the following replacement language: “Each village shall decide for itself how it shall be organized, including selection of its council representatives subject to section 3(b)(vi) below. Each form of village organization shall be consistent with the constitution”. (Emphasis added). The new language eliminates a village’s decision-making right and eliminates them as “traditional organizations” and will require the villages to adopt new village constitutions that must be consistent with the new tribal constitution (Draft 24A). There are many other things wrong with Draft 24A, including the complete elimination of Article XI – Taxation, from our current tribal constitution. If 24A passes, the Hopi Tribe and villages can no longer impose taxes, fees, duties and assessments to produce revenues. The tribe’s budget is heavily dependent on these revenues and will be impacted significantly. Villages depend heavily, if not solely, on annual allocations from the tribe’s general fund. Bringing our sovereign villages in as a fourth branch of tribal government is a foreign concept, even to how the United States and state governments are organized. Draft 24A gives the tribal council and the president very broad powers and we lose the “balance-of-powers” controls. The election process is also highly questionable. While the Secretarial Election, by law and regulation, is the sole responsibility of the Bureau of Indian Affairs, we all know the tribal chairman and his staff is actually running the federal Secretarial Election while the local BIA offices stand by and allow it to happen. Once the BIA assumed control and responsibility when it authorized the Secretarial Election on November 4, 2010, our voter registration and personal information came under the control of the federal government and protection under the federal Privacy Act, but the tribal staff gained direct and unauthorized access to our records. As a result, some voters received a letter from the tribal chairman’s office in an attempt to sway their votes using the addresses of the registered voters. Because of the breach of our privacy, I am no longer confident that we will, in fact, have a clean, legitimate election. It is unfortunate the tribal council (the 8 members that voted in favor) did not consider the full impacts of Draft 24A and did not allow for full dialogue on this draft before they voted to approve the action item on that infamous day of August 4, 2010. Federal rules require that only 30 per cent of the 1,488 registered voters are required to cast their votes to make this a legitimate election. This means a minimum of 446 votes must be cast and a majority of those votes, or a minimum of about 227 votes, are required to approve Draft 24A. We only hope and pray that Hopi and Tewa people will make an informed decision before casting their votes. This past summer I took my family to Walnut Canyon National Monument in northern Arizona. When we entered the visitor center gift shop, my girls immediately ran to the shelves with children’s books and “oohed” and “aahed” over the glossy pages with colorful illustrations. 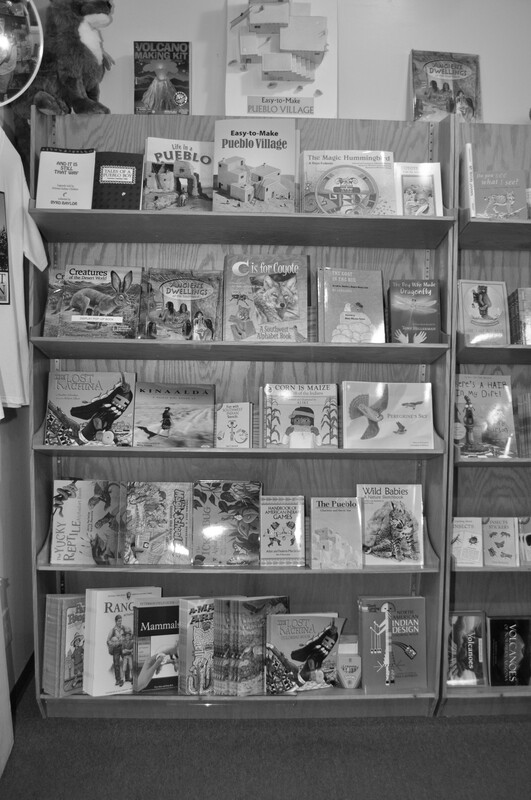 At least half of the books in the gift shop were for young readers, and some of them were on the Hopi. At Walnut Canyon, park officials mostly had books about the Hopi that non-Hopi people wrote. One of these books was Heather Irbinskas The Lost Kachina. While The Lost Kachina was written by a non-Hopi, the book was illustrated by Hopi artist Robert Albert (Sahkomenewa) from Moencopi. There was at least one Hopi-authored children’s book on the shelves, namely Michael Lomatuway’Ma’s The Magic Hummingbird, which he co-wrote with Ekkert Malotki, a non-Hopi linguist. There are other Hopi-written children’s books that park officials did not include in the shop such as Polingaysi Qoyawayma’s The Sun Girl and Emory Sekaquaptewa’s (et. al.) Coyote and Little Turtle: Iisaw Niqw Yongospnhoy. My post is not intended to critique the books in the Walnut Canyon gift shop. Sahkomenewa’s illustrations in The Lost Kachina are quite remarkable, and I assume that he would not illustrate a book on the Hopi that he did not approve of himself. Perhaps one day I will take up Debbie’s challenge and write a children’s book of my own. We certainly need more Hopis today writing and illustrating children’s books. And we need more publishers, school librarians, teachers, and even federal park officials to make Hopi authored books available to children.